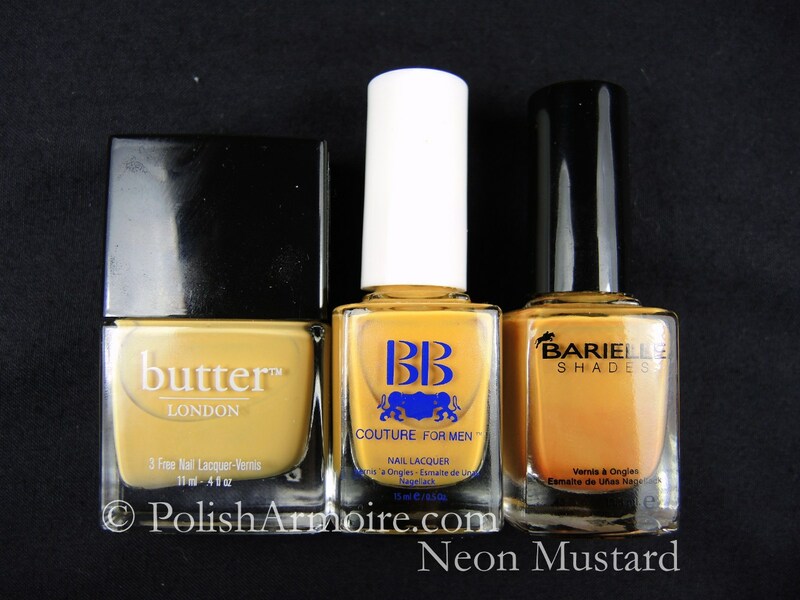 When comparing the three mustard yellow polishes, Aura Angora is the darkest being a dirty-looking mustard yellow creme polish that is opaque in one coat whereas Bumster is the lightest and is a dusty light mustard yellow creme polish. Stick Shift is my favourite out of the three and suits my warm skintone the best. Stick Shift is opaque in two coats and contains subtle shimmer that looks either pink or silver depending on the lighting. I used two coats of Glitter Bunny I Got A Goodie Bag on my middle finger and one dabbed coat of Glitter Bunny Krazy Straws on my pinky finger. I also used one dabbed coat of Krazy Straws over one coat of I Got A Goodie Bag on my index finger. I Got A Goodie Bag (left in the above photo) contains a mix of matte, satin and metallic square and rectangle glitters in various colours. The metallic purple, green and blue glitter didn’t photograph well and look black in my photos. Krazy Straws (right in the above photo) contains micro matte blue glitter and a mix of neon blue, pink, yellow and green squares and hexes in various sizes. For both polishes I swirled my brush around a bit before pulling it out of the bottle in order to get a bit more glitter onto the brush. It also helps to sit the bottles upside-down before use. 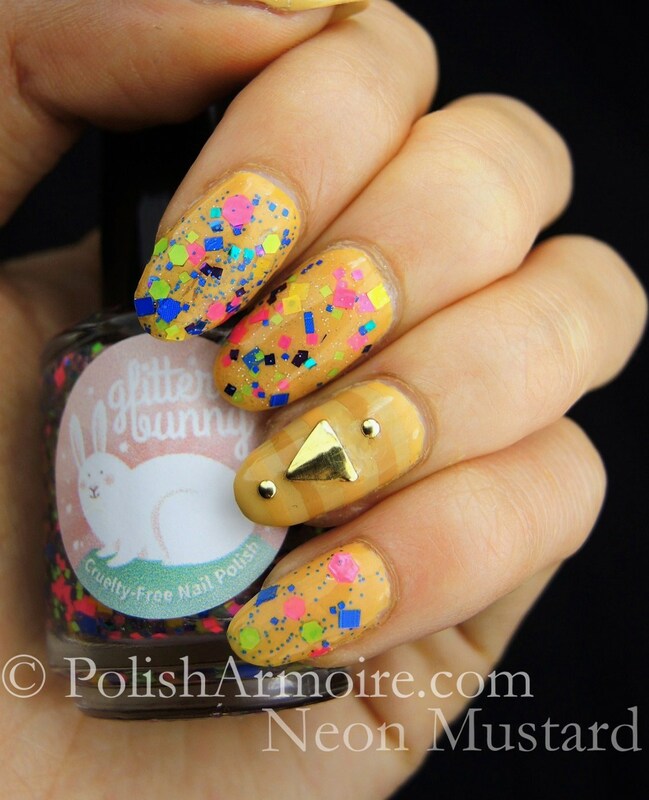 One thing that I love about Glitter Bunny is her low international shipping rate which is just $4.50.